This article is about the academic field. For actual economic histories, see Economic history of the world. For the history of economics itself, see History of economic thought. In Germany in the late 19th century, scholars in a number of universities, led by Gustav von Schmoller, developed the historical school of economic history. It ignored quantitative and mathematical approaches. Historical approach dominated German and French scholarship for most of the 20th century. The approach was spread to Great Britain by William Ashley, 1860-1927, and dominated British economic history for much of the 20th century. In France, economic history was heavily influenced by the Annales School from the early 20th century to the present. It exerts a worldwide influence through its Journal Annales. Histoire, Sciences Sociales. 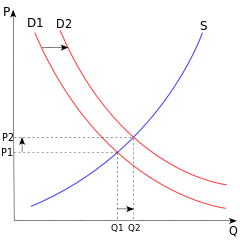 In the initial period of the subject's development, the LSE position of separating economic history from economics won out. Many universities in the UK developed independent programmes in economic history rooted in the LSE model. Indeed, the Economic History Society had its inauguration at LSE in 1926 and the University of Cambridge eventually established its own economic history programme. However, the past twenty years have witnessed the widespread closure of these separate programmes in the UK and the integration of the discipline into either history or economics departments. Only the LSE retains a separate economic history department and stand-alone undergraduate and graduate programme in economic history. Cambridge, Glasgow, the LSE and Oxford together train the vast majority of economic historians coming through the British higher education system today. Have a very healthy respect for the study of economic history, because that's the raw material out of which any of your conjectures or testings will come. • E. Aerts and H. Van der Wee, 2002. "Economic History," International Encyclopedia of the Social & Behavioral Sciences pp. 4102-410. Abstract. ↑ For example: Carmen M. Reinhart and Kenneth S. Rogoff (2009), This Time Is Different: Eight Centuries of Financial Folly. Princeton. Description, ch. 1 ("Varieties of Crises and their Dates," pp. 3-20), and chapter-preview links. ↑ Whaples, Robert (2010). "Is Economic History a Neglected Field of Study?". Historically Speaking. 11 (2): 17–20 & 20–27 (responses). doi:10.1353/hsp.0.0109. ↑ Douglass C. North (1965). "The State of Economic History," American Economic Review, 55(1/2) pp. 86-91. _____ (1994). "Economic Performance through Time," American Economic Review, 84(3), p p. 359-368. Also published as Nobel Prize Lecture. ↑ Boldizzoni, Francesco (2011). The Poverty of Clio: Resurrecting Economic History. Princeton University Press. p. 18. ISBN 9780691144009. ↑ Clarke, Conor (June 18, 2009). "An Interview With Paul Samuelson, Part Two". The Atlantic. Retrieved November 26, 2011. Mokyr (ed. ), Joyr (2003). "Economic Encyclopaedia". The Oxford Encyclopedia of Economic History. Oxford: Oxford University Press. Roy, Tirthankar (Summer 2002). "Economic History and Modern India: Redefining the Link". The Journal of Economic Perspectives. American Economic Association. 16 (3): 109–130. doi:10.1257/089533002760278749. JSTOR 3216953.